Economic growth is expected to slow from 2.3% in 2015 to 2.0%. 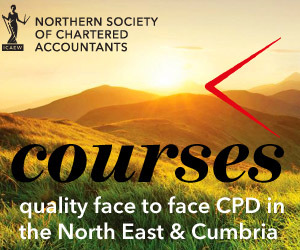 This is one of the key findings from the Q2 2016 ICAEW Economic Forecast. We continue to forecast slower growth this year amid turbulence in global financial markets, evidence of softer global growth and the increased uncertainty ahead of the upcoming EU referendum. The financial position of the corporate sector remains very strong, as do rates of return in the service sector. But the decline in business confidence seems likely to temper capital spending. ICAEW expects employment growth to slow, to 1.1% in 2016 from 1.5% in 2015, with the unemployment rate forecast to flatten, averaging 5.0% in 2016. Even though the labour market has tightened, pay growth is set to slow modestly. The introduction of the National Living Wage will offer some support to low income workers, but BCM survey evidence points to pay growth of 2.1% in 2016, slightly slower than 2015. 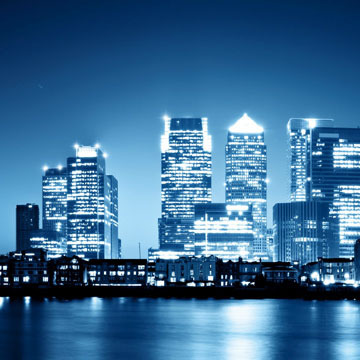 The Bank of England is likely to keep the Bank Rate at 0.5% throughout 2016. The continued low price of oil points to inflation remaining lower for longer, with the Monetary Policy Committee (MPC) unlikely to raise rates until wage growth strengthens. The MPC is likely to keep rates at their historic low until the second quarter of 2017 in our baseline forecast. 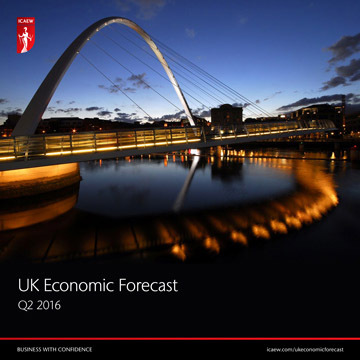 You can also download the Q2 2016 ICAEW Economic Forecast.